Hello, Gorgeous! 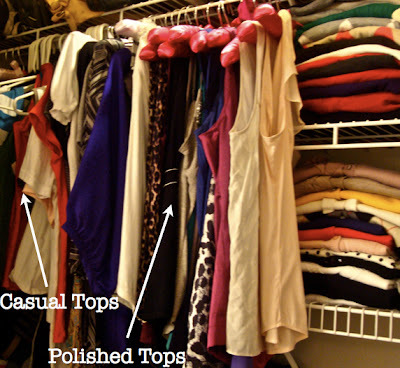 : 4-step guide to a complete closet makeover. 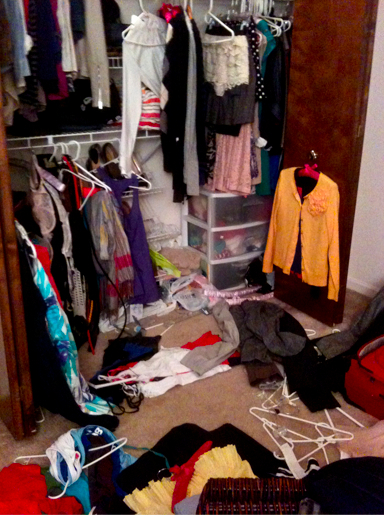 Every Fall and every Spring, I start jonesing for a complete closet overhaul. You see, unlike in my dreams, my actual closet is not huge. Don't get me wrong, it's perfectly fine and functional, with racks and shelves and all. 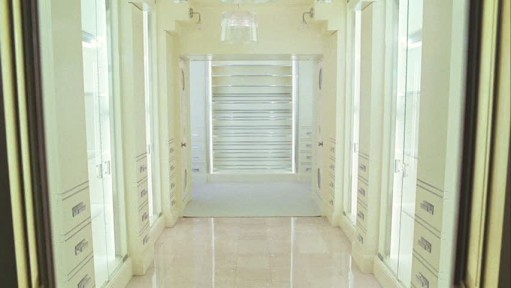 It's just not like Carrie's closet. 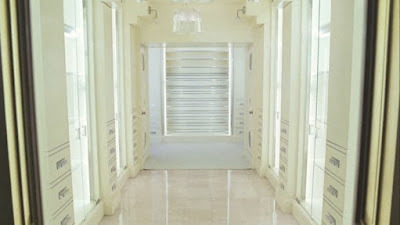 But, I'm guessing that most people don't have closets like the one above. 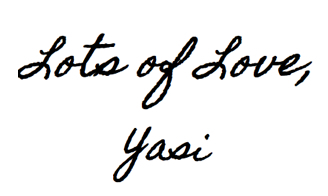 So, we have to make due with what we have. And this is where my freakish fondness for organization comes in! I truly believe that tidy surroundings make for a more structured and relaxed approach to the day, and a neat and orderly closet can play a big part in that. However, this is often a challenge for those of us with small to normal sized closets. How do I fit my Summer clothes in with my Winter coats? What do I do with my cute wedges and shorts when I'm mostly using my boots and jeans? And most importantly: how do I cram everything in at once?!!! The truth is, unless you have a Carrie Closet, you may not be able to fit all of your seasonal clothes in your closet. Living in the Mid-West, I have to have clothes for all four seasons. And just recently I have succumbed to the fact that I simply cannot fit everything in my closet at once. So, twice a year, I have to switch out my wardrobe, so that I can dress for the correct season: once in the Spring (when I put away most of my boots, coats and other Winter clothes), and once in the Fall (when I pack up any clothing item that looks like it should only be worn in the warm months). From my experience, this process works really well, and always leaves me feeling organized and ready to take on the new season. I usually pack up out-of-season shoes in suitcases which get put into storage, and I pack any out-of-season clothes in clothing bags and slip them under the guest bed. This is also a great time to donate or sell any clothing that you don't need anymore. 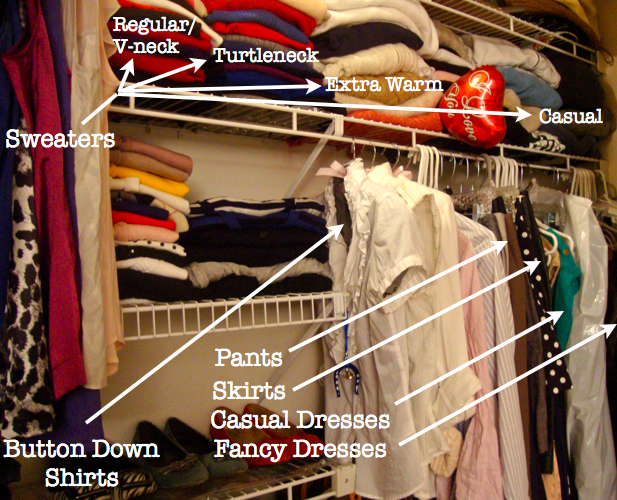 So, without further adieu, my tutorial for a Complete Closet Makeover will guide you in the step-by-step process of de-cluttering your closet and organizing your wardrobe, while maximizing space. 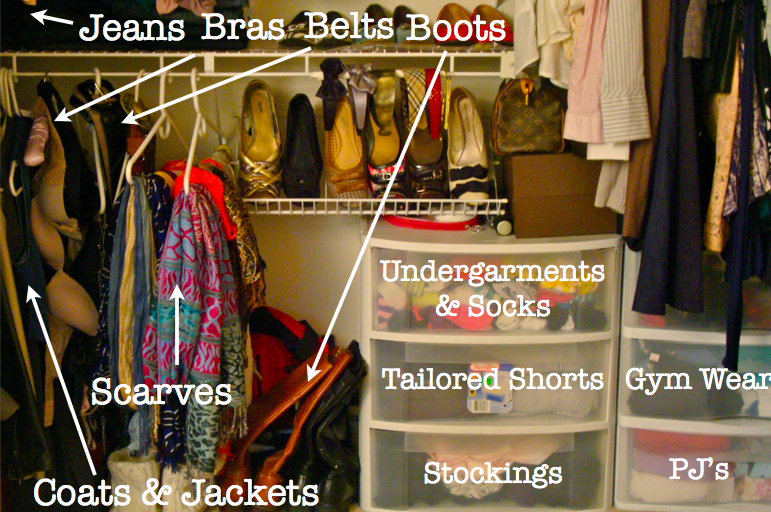 Step 1: Fling everything out of your closet. Okay, you really don't have to do this. But, you need to get the clothes out somehow, right? Why not make a huge, stinking, mess out of it?! 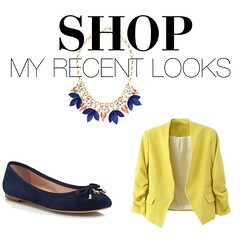 Step 2: Decide on an order for your wardrobe. My order is functional. Some people like doing theirs' by color. Another suggestion is to put the items that you want to wear more in the "front" of your closet, so that they are more visible. Step 3: Roll roll roll. This is my #1 space-saving tip (also great for packing for travel!). 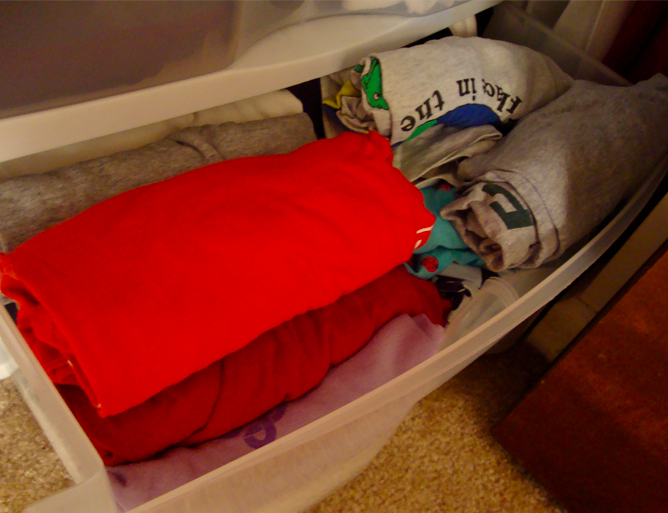 Roll anything that you are storing in bins or drawers. It will save you tons of room, as well as help the garments maintain their shape. 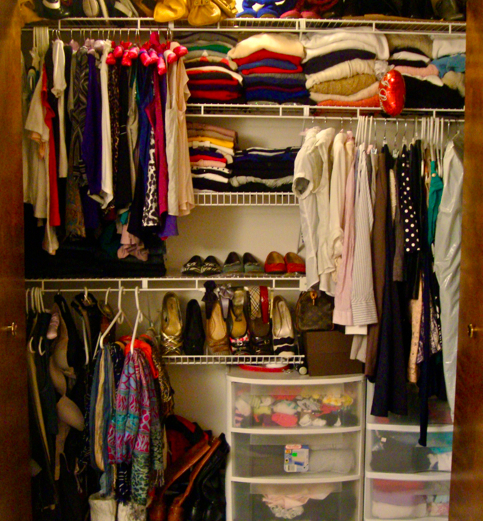 Step 4: Enjoy your hard work and beautiful closet. Having a perfectly organized closet is heaven! Love the look of your new blog! Stu and I are living in a duplex apartment. Unfortunately, we have to share our closet. :( I went from having my own walk-in closet to .... sharing a closet with Stu! So a lot of my clothes have to be put in "clothes bag" for each season. Nonetheless, I enjoyed this post.....I love organizational stuff and how to organize clothes, etc. Ash- That bites! I hope you get your own closet soon! Megan- Oh man! That happens to me every once in a while. But, then I do a huge closet organization b/c I can't stand it being messy. 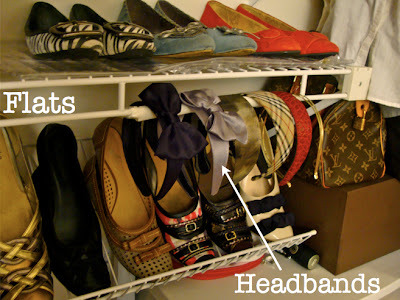 my best tip is to hang stuff with the hanger facing away. as you wear something, hang it the normal way. at the end of the season, see what's still hanging facing away. this means it's unworn and can possibly be given away/sold. Your closet looks GREAT, lady! I have the same all-season issue and I'm definitely going to try your tips.